This entry is part 2 of 23 in the series Portugal & Andalusia 2012. 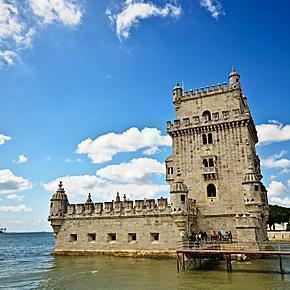 In the bustling quarter of Belém, in Lisbon, Portugal, two towers; one a modern monument and one an ancient fortress, offer a view of the city and its maritime history that should not be missed. There is an unwritten rule when Andrew and I travel to a new place, we end up climbing things: church bell-towers, clock-towers, monuments, and basically any other structure that will give us a good view of our surroundings. Unfortunately for my parents, who joined us on our recent tour of Portugal and Andalusia, our two week adventure began with climbing two towers on our very first day in Lisbon. Luckily, one of the towers at least had an elevator. 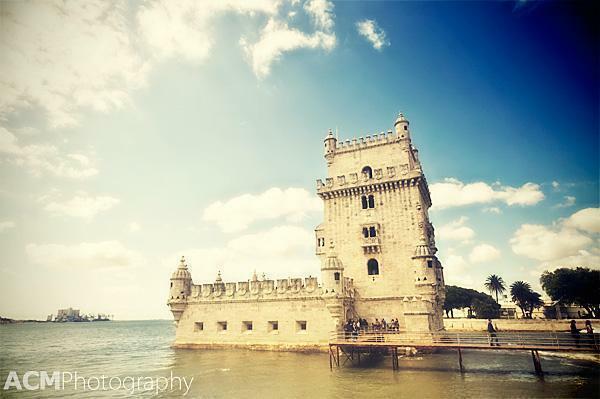 Belém Tower now sits close to the shore of the Tagus River. 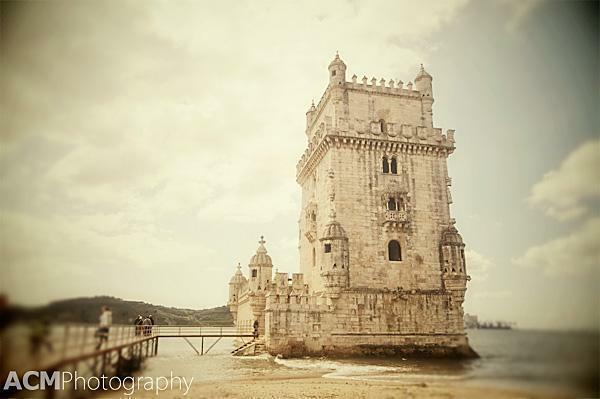 Our first tower was the stunning landmark Belém Tower, also called the Tower of St Vincent. This 16th century tower is what remains of the Tagus River defence system, commissioned by King John II. It was a ceremonial gateway to Lisbon and now is a popular tourist destination. Belém Tower looks like something out of a Grimm’s fairytale. In 1983, Belém Tower was added to the UNESCO World Heritage list, along with Jerónimos Monastery (which we’ll feature in an upcoming post). 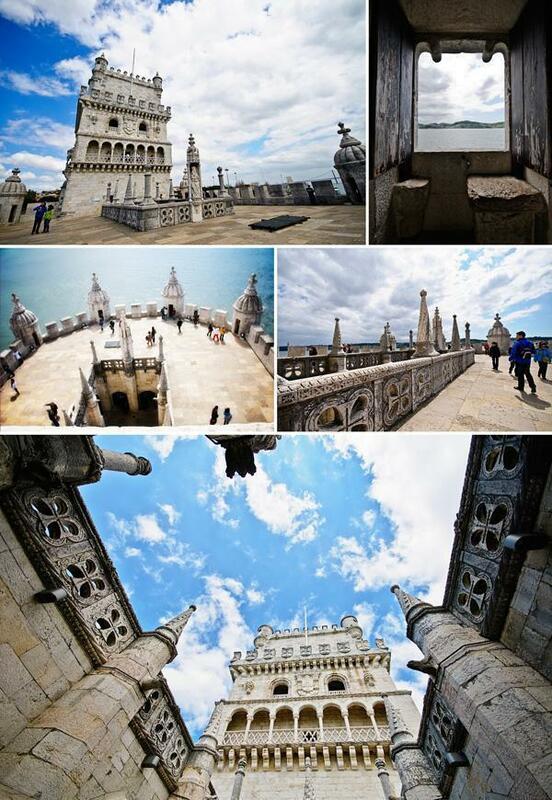 With my goal of collecting all of the UNESCO sites, Belém Tower needed to be climbed. At one time, Belém Tower was surrounded by water, but over the years, the land around it was developed and reclaimed so much that now the tower almost sits on the beach. The building has two main parts: the tower itself and the bastion. It is built in a beautifully ornate late gothic style, with turrets, carvings and decoration covering the exterior. Visitors can climb to the top of the four story tower. From here, there is a sweeping view of the harbour, the Belém area, and our second tower of the day – the striking Monument to the Discoveries. The Monument to the Discoveries, or Padrão dos Descobrimentos, was originally built in the 1940s for the Portuguese Worlds Fair and was meant to be a temporary installation. In 1958, construction began on the permanent monument, made of marble and concrete, that we see today. 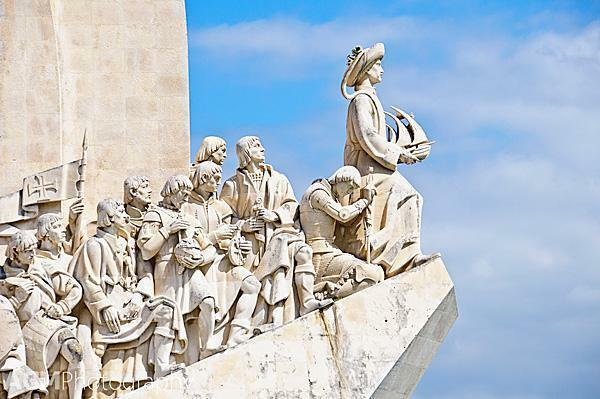 The monument commemorates Henry the Navigator, whose statue heads the line of 33 figures of people who were pivotal to Portugal’s Age of Discovery. These figures include royalty, explorers, cartographers, scientists, missionaries and artists. Henry the Navigator heads the 2 lines of 16 figures. The square in front of the Monument to the Discoveries is inlaid with a compass rose, 50m in diameter, made of various colours of marble. This was gifted by the South African Government and is best viewed from above. Luckily, inside the monument is a modern elevator, to whisk visitors to the top. Only a few stairs stand between the visitor and a magnificent view of the compass rose and Jerónimos Monastery. 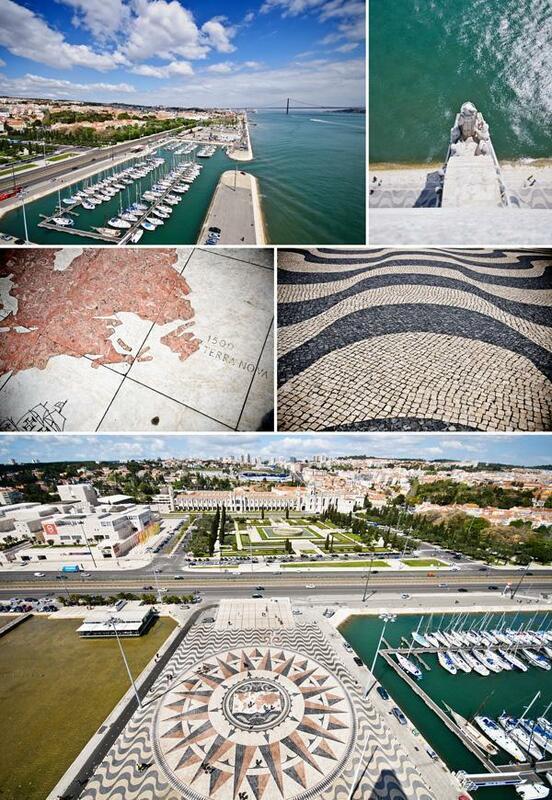 On a clear day, Lisbon is spread out before you, making the towers a great first stop on a visit to this exciting city. Stay tuned for our upcoming post on Jerónimos Monastery and more from our exploration of Portugal and Andalusia.